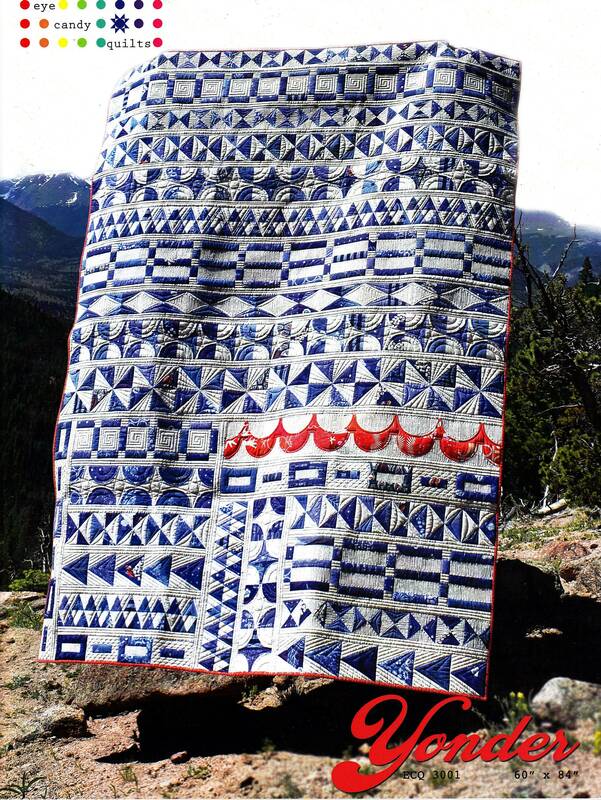 Yonder quilt pattern by Eye Candy Quilts. This book includes instructions and templates (printed in the back) for a gorgeous row by row quilt. This book measures 8.5" x 11" and must be shipped in a Priority Mail envelope. See second image for fabric needs and other details.